Sen. Lindsey Graham says US should tell the world that “an attack against Israel would be considered an attack against the United States”. 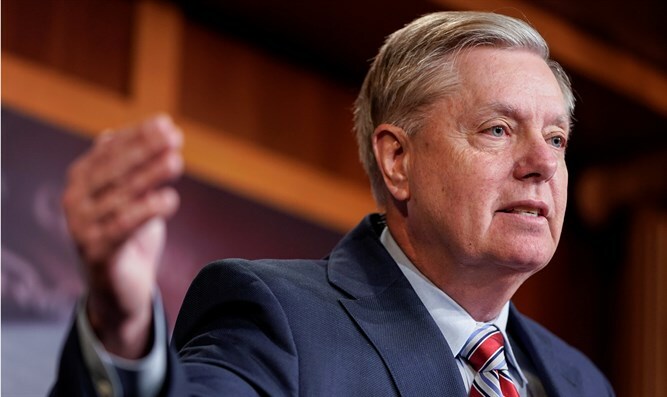 Senator Lindsey Graham (R-SC) on Saturday called on the United States to enter into a mutual defense agreement with Israel to tell the world that “an attack against Israel would be considered an attack against the United States”, The Associated Press reports. Graham made the comments at the annual meeting of the Republican Jewish Coalition in Las Vegas. He added that it is time for the US to declare to the world how important its relationship is with Israel. America should tell Israel’s enemies that if they seek “to destroy the one and only Jewish state, you have to come through us to get them,” said Graham. The Senator also suggested the Republican-controlled US Senate would vote in a month or so to formally recognize Israeli sovereignty over the Golan Heights and force Democrats to go on the record on the issue. US President Donald Trump recently signed a proclamation recognizing Israeli sovereignty of the Golan Heights which was liberated by Israel from Syria during the 1967 Six Day War. Israel annexed the Golan Heights in 1981, in a move that has never been recognized by the international community. Trump spoke earlier at the same gathering, where he discussed the upcoming Israeli elections. "Well, it's going to be close -- I think it's going to be close. Two good people," he said, referring to Prime Minister Binyamin Netanyahu and rival Benny Gantz. "Unlike other presidents, I keep my promises," he emphasized, adding that moving the US Embassy to Jerusalem was a "historic action that had been decades in waiting" and that the US-Israel relationship has never been better. "I stood with your prime minister at the White House to recognize Israeli sovereignty over the Golan Heights," continued Trump. "Some of you won't like this, maybe, but I would love to see peace in the Middle East," Trump said, adding that if White House adviser Jared Kushner and US Special Envoy to the Middle East Jason Greenblatt can't broker peace in the Middle East, "nobody can."